Very nice blanket finish! Gorgeous. Gorgeous as always. Thank you for sharing the pattern. 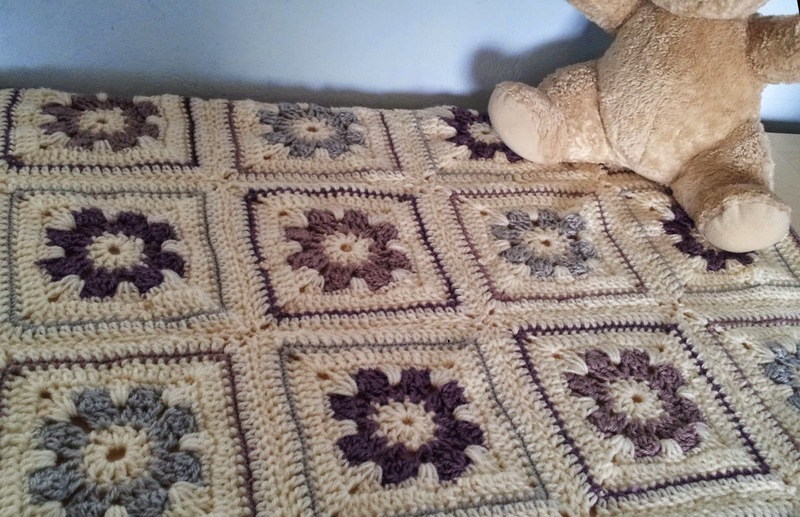 What a pretty square and lovely blanket. I must try this square soon. Thanks so much for sharing the pattern. Thanks a lot, I downloaded it for when I have some spare time... when will that be ? Hi, thank you for the pattern. :) On round 2 I can't find the single asterisk you refer to. Sorry! Round 3, 3rd line says "join the 2ch" when it should say "3ch". Oh, Cathy, I am such a noddy. What a silly thing to forget :-( I've updated the pattern and the update has been sent out to everyone. Thank you for contacting me, you're a real sweetheart! ps - A noddy would not be able to devise such lovely patterns.